← Hilarion via Marlene Swetlishoff, May 1st, 2018 – TRUST IN THE PROCESS ! We are the Crystal Kingdom. Can you begin to hear the hum of the creation song as we vibrate and come online? Yet, we are existing just out of reach etherically and also tangibly in your physical realm. We are the Crystal Kingdoms and we exist in all shapes and colors and sizes, yet we are all the same, of the same breath of the Mother, of the creative essence of the light, here to serve the All. Just as you, humanity are of all different creeds, colors, religions, backgrounds, economic experiences; whatever your essences may be, we assure you, if you but stop and be still and remember, you will see each other through the eyes of a brother, a sister, and realize that you are all the same, of the same ‘star stuff,’ of the same creative force, and realize you are all one. You are all one gigantic heartbeat. You are all one cosmic web of laughter, of joy, of sorrow, of pain. You are all of these things. 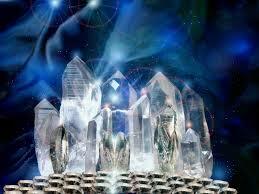 We crystals transmute. We recalibrate. We help repurpose the lost energies that stick and defy. We transmute with ease and grace for we are all but a varied frequency of the creation of Source, and it is our joy and our pleasure to connect deeply with humanity at this time of intimate recalibration. Many of your emotions are rocky, are up, are down, for you are recalibrating. Let us ease this along for you. Carry us in your pocket, near your heart and allow us the privilege and pleasure of serving the collective of humanity, doing what we do best. Charge us in the moonlight of the Mother’s rays, on the dewy grass with our crystal friends. We love this. We can send our encodements received into our friends and families deep into Gaia’s heart space and revitalize her heartbeat, and renew the others of our family, the Crystal Kingdom. We are everywhere. We are under your feet, we may be on your ring finger. And you, humanity, are too becoming crystalline! Have you thought about this? This means that you will be able to resonate much higher, of a more purified vibration of light and of love, of the breath of the Mother of all things. The gamma light codes are powerful. Let them into your developing chrysalis and become the crystal butterflies of newness of form that awaits you just over the edge of what you can see. Crystals form in the heat, in the pressure of the earth. So too human friends have you been forming your own crystalline bodies in the heat and the pressure of this new time of formidable change, of newness and of new creation, of new things. For Source is always expanding and you friends, are Source light wrapped up into human form, for but a time. And then you will go and do something else. But for now, for this moment, you are here. Work with us. We long to offer our protection, our support and our renewing powers. Be comforted. Be at peace. For now, in this moment we send you our vibration of peace this day. We are the Crystal Kingdom. I AM the Mother, the Universal Mother of all things. Through out time and space there I Am. There we are, together. Children, light bearers, I am so very proud of you, for all of this heavy lifting, of this ‘tough stuff’ that you are pushing through, like boots in the mud you are forging ahead with strength and with purpose. And you should be noticing that now your steps are a bit lighter? Yes? That your heart song is playing a little louder as well? 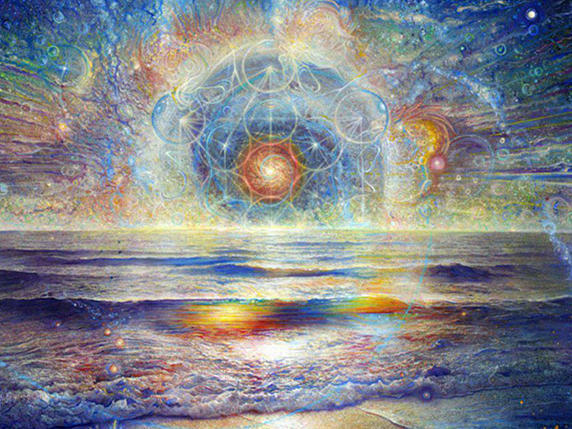 As these light codes permeate your heart space, they are renewing you, revising you. They are my breath. They are my embrace. They are aspects of me, as a gift to you, children, for you are so loved, and you are so weary. Rest with me, in my deep maternal embrace and know that ever, eternally and for always you are loved. You are loved more than human understanding. For you are me, you are an aspect of me, you are my children of love, of light. I will not allow misuse of my creation. In this pregnant pause, in the silence of the wait, know that you are changing, that all things are coming online, that the crystals are humming, singing their song of creation and that you too children will remember your heart song, will remember who you are, will remember your purpose, and find your strength in the midst of it to carry it out and to be who you came here to be. You will fulfill your destiny. You already are just by being here and by listening to these words and by having the light influx of energies of divinity permeate your heart and become one with your own god spark. The void of the wait can be a gift. Find me in the midst of it. It is my embrace to you for your weary form. I am the Mother, the Universal Mother of all things. You see my thumbprints, my handprints all over you, all around you, in this lovely, beautiful world of my creation, of my love, you see me. And children, I see you. I know you. I know every freckle, every hair on your head. I know every pain, I know every tear shed and unshed and I know your resolve to carry this great and grand experiment into completion. And I am overwhelmed with love and joy and peace as I see the spectacular being that is you. I love you. I weep tears of joy, bliss, of ecstasy as I remember this journey that we have had together. And please know that this journey is an eternal one of self discovery, of growth, of renewal, of joy. And know that I am with you always, even until the end of the age as Jesus said, and yes even after. For what is time? Indeed, what is a human construct of time? It is nothing but a matrix, a concept, an idea that is put in place to understand. It is like pouring water from a never-ending stream into one ice cube tray, and saying the tray holds all the water there is. It is time to let such 3D concepts go, and to become unattached to them. And find peace in this change of concept, of ideas, for as you expand so will your understandings, and expand exponentially. It is true. For truth lies within you. Expand into it. I am the Mother, the Universal Mother of all things and oh children, I love you so much. Both within and without of time. It is time to emerge from your cocoon of light and become the crystalline butterfly that you are, that I see. I see this as already happening and as already completed. It is time for you to claim this timeline, this reality as your own and pull it to you. Energy is stretchy. The universe listens. What are you telling it? Ah, yes. Another lesson, another expansion of truth. That’s it. You are ever closer to further understanding. I am the Mother, the Universal Mother of all things. Be at peace. I send you my heartbeat to intermingle with that of your own. We are one. This entry was posted in * AGE - OF - AQUARIUS, HEAVEN'S BIRTH CANAL. Bookmark the permalink.